It’s so tempting. The idea of a greenhouse means gardening year round, a warm sunny spot to garden in February. Tropical plants that survive the winter... Greenhouses are the ultimate fantasy for gardeners, but they’re also a big responsibility. One night without heat and all of your plants and seedlings could be goners. Your greenhouse will need heat, water, benches, venting, electricity. And that’s just for starters. 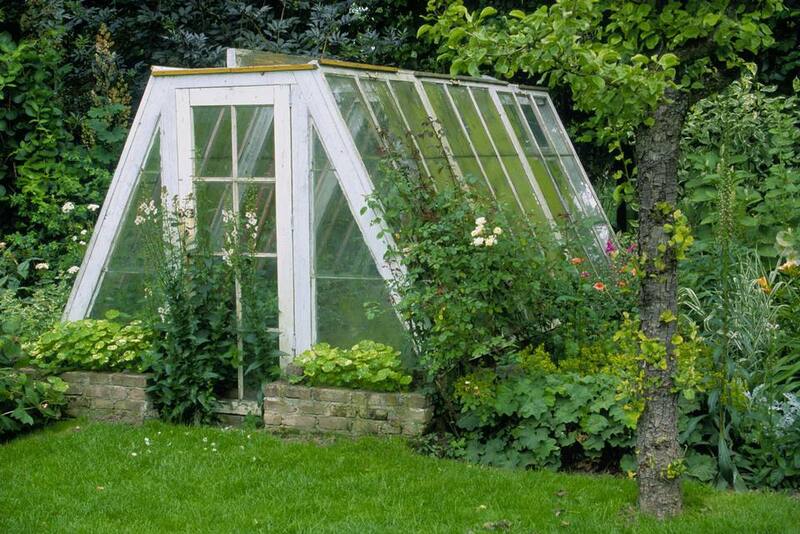 Here are some key points to ponder before you buy a greenhouse. Size: How Large a Greenhouse Will You Need? Get the largest greenhouse you can afford and fit into your yard. Whatever size greenhouse you buy, you will quickly fill it. It is easier and cheaper to purchase a large greenhouse than to try and expand a small greenhouse. Heat is the bottom line in greenhouses. Without sufficient heat, you’re just gardening in winter. Trying to guess at future heating costs is well beyond my scope. There are electric, gas, propane and natural gas heating units available. They all work well. The choice really comes down to whether you want to have lines laid and what’s available in your area. Electric is convenient and it doesn’t need venting, but if a storm knocks out your electricity, it will also knock out your plants. Heating costs will also be affected by your choice of siding material, as discussed below. Siding for your greenhouse should be your major consideration, since it will affect the cost and efficiency for years to come. A lot of progress has been made in designing better insulated, more heat efficient greenhouse siding and after all, regulating heat is what greenhouses are all about. Another consideration is light diffusion. You want as much sun light as possible to come into your greenhouse, but you don’t want it directed straight at your seedlings, like a magnifying glass. Choices of greenhouse siding materials will be glass or one of the plastics (fiberglass, polycarbonate, polyethylene film). Something has to hold up your greenhouse and a good frame can mean the difference between holding up to the wind or continual maintenance. Many times your choice of framing is determined by your choice of siding. Heavier siding requires a heavier frame. Wood is beautiful, but aluminum, galvanized steel or PVC are far more durable. A Foundation for Your Greenhouse. Do You Really Need One? Your greenhouse doesn’t require a full concrete foundation. However it is nice to have some kind of surface between garden benches in the greenhouse. You could use concrete or lay down some type of pavers. If you do put down a concrete slab, you’ll need to include a drain in the floor. And concrete can become slick when wet, so be sure your slab has some texture to it, for traction. Pavers are nice for drainage, but you will get weeds between the cracks. Pea gravel is another option and is also good for under the potting benches, to prevent things from getting muddy and damp. By now you may be thinking a greenhouse kit is the way to go. There are several good ones on the market and they do take away the hassel of measurments and major assembly. Use your knowledge of costs and sizes to determine which kit is the best value for your money. Most greenhouse kits come with only the basic framing and siding. Everything else is extra. You may think you can make do, but it's worth considering these options before you make a major committment. Check whether you’ll need a building permit in your area. Shelving and benches are usually sold separately. You may need shade cloths, if your greenhouse is situated in full sun. An automated watering and/or misting system will allow you to leave your greenhouse for a few days during the winter. Make sure your wheelbarrow can fit through the door. How Large a Greenhouse Will You Really Need? Do You Need a Wheelbarrow or a Garden Cart?